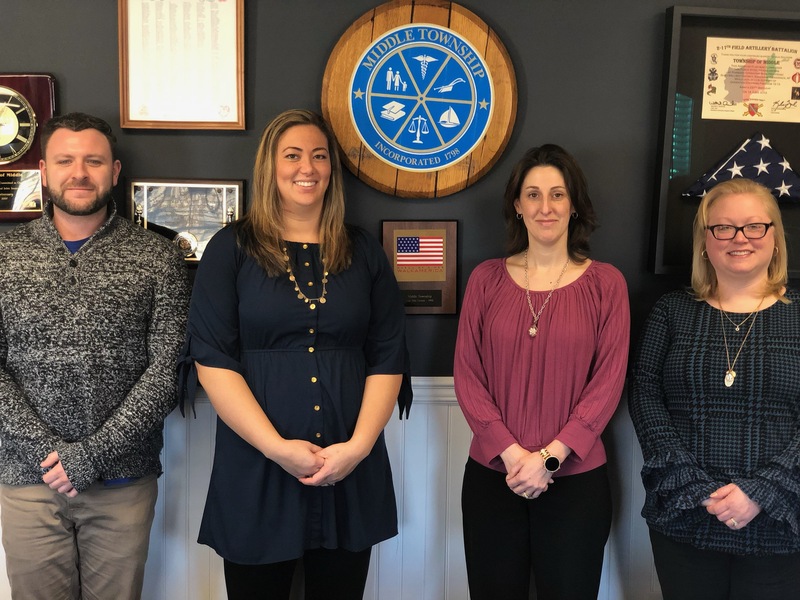 By a unanimous vote of Middle Township Committee, Chief Financial Officer Susan Anastasio-Quinones was reappointed to a four year term, beginning January 1, 2019. “We are fortunate to have someone with Susan’s governmental background and experience running our Finance Department. I look forward to working with Susan during her second term,” Deputy Mayor Gandy added. Anastasio-Quinones initially began her Middle Township career in 2011 as the Deputy Chief Financial Officer until 2013. She returned as the Chief Financial Officer, filling an unexpired term, in 2016. As of January 2, 2019 she was reappointed to the CFO position for a four (4) year term. Ms. Anastasio-Quinones currently holds the following professional licenses with the State of New Jersey; Certified Municipal Finance Officer, Certified County Finance Officer, and Registered Municipal Clerk. She earned a Bachelor of Science degree in Financial Management with a minor in Accounting from Franklin University, and an Associates of Arts in Business Administration from Cumberland County College. What began as a summer job during high school with the City of Vineland, Business Administrators Office, has cumulated into over 26 years of experience on a municipal, county, board of education and improvement authority level of government. Ms. Anastasio-Quinones has previously served as Township Clerk/Administrator/Chief Financial Officer/Economic Development Director for Hopewell Township (Cumberland County), Township Administrator/Chief Financial Officer/Acting Purchasing Agent for Buena Vista Township, Accounting Manager/Supervisor for the Cumberland County Improvement Authority, Fiscal Officer/Confidential Assistant for the County of Cumberland as well as various finance related positions with Downe Township Board of Education and the City of Vineland. In addition to her full time work for Middle Township, Ms. Anastasio-Quinones also serves as Treasurer of School Monies for both Hopewell Board of Education and Fairfield Board of Education. A graduate of Vineland High School, she currently resides in Cumberland County with her husband and children.